Building a functional rocket is as hard as it seems to be and building a reusable rocket is only a thing some could imagine. Like for instance Elon Musk, the founder of SpaceX and best known as the CEO of Tesla, who has been in this quest for quite some time now! Since a million things can go wrong in the while complex process starting from the launch to making the smaller spacecrafts reach into orbit. It’s not easy to go through the whole process without making any mistakes and getting everything perfectly done from the delivery to the return back to Earth is no easy task. A simple mistake can prove fatal and can end up making very extensive financial losses and also demotivates the team at the same time. And that is exactly what happened to SpaceX’s reusable Falcon 9 rocket. SpaceX’s new reusable Falcon 9 rocket was shown in a video shot by BBC news two days ago in the footage below. In the video mentioned, the Falcon 9 descend following a successful deliverance of an ocean monitoring satellite into the space which ends up landing on one of the SpaceX’s autonomous drone ships floating in the Pacific Ocean. Everything went great but the Falcon 9 rocket wasn’t able to stick the landing which spelled disaster at the start. This wouldn’t have been such a big problem for a small sized structure, but when you’re dealing with something that’s more than 68 meters in height and more than 3.5 meters in diameter and unmanageably bulky at the same time it’s a big deal! 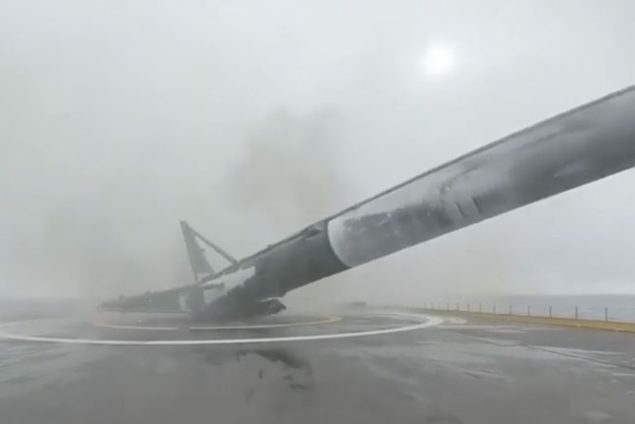 As shown in the footage by BBC news, the problem is explicitly shown that the Falcon 9’s leg locking mechanism has got various loopholes that makes it unstable and tip to the side and ends up exploding it in a blazing mess of smoke and flames. 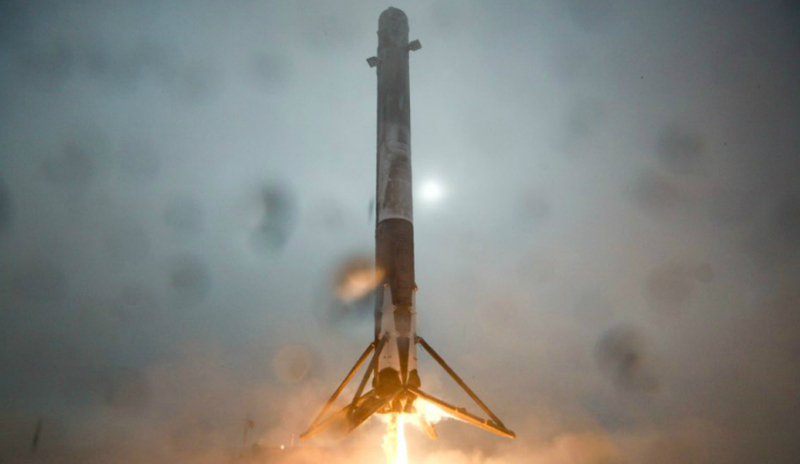 Although this seems like a big failure for Elon Musk and his team at SpaceX, it’s not. Try to look at it this way that they made history in the whole process of launching and landing the Falcon 9 rocket last month and if they can do it once they can probably do it better next time. So here’s to hoping they will stick the landing next time, do let us know what you think about this in the comments below.